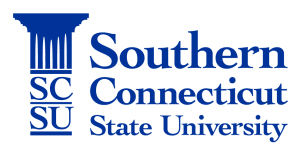 Southern Connecticut State University (SCSU) is a constituent unit of the Board of Regents for Higher Education (BOR), Connecticut State Colleges and Universities. As one of the State of Connecticut institutions of higher learning, this university offers a diverse and student-centered experience, dedicated to academic excellence, access, and service for the public good. Southern provides a supportive and welcoming environment for all members of its community through a campus wide commitment to social justice. Founded as a teacher's college in 1893, Southern has evolved over the past century into a comprehensive public university of more than 10,000 students, offering graduate and undergraduate programs in the liberal arts and professional disciplines. It is one of four universities in the Connecticut State Colleges and Universities System. The University is located in New Haven, a city rich with arts and culture, and less than 90 miles from New York City and 140 miles from Boston. We are currently recruiting for one (1) full-time Secretary 2 position in the Office of Educational Leadership and Policy Studies. This position operates 40 hours per week, Monday - Friday. PLEASE NOTE: Due to the volume of applications anticipated, we are unable to provide confirmation of receipt or status during the recruitment process. Updates will be provided through your JobAps portal account. Interviews will be limited to candidates whose experience and training most closely meet the requirements of the position. For all other inquiries, please contact Francesca Poole at poolef1@southernct.edu.